Jean Todt, the president of the FIA, motorsport & world governing body, visited the Acropolis Rally in Greece last week on a fact-finding mission. The Frenchman is no stranger to the WRC having co-driven and run teams at the highest level in the past. During his visit, Todt expressed his views on road position tactics, the return of Rallye Monte Carlo to the 2012 calendar and the success currently being achieved by privateer Petter Solberg. “First I’m pleased that private drivers are able to get the same car as the official drivers and then you must not forget that Petter Solberg has been the world champion in 2003 with Subaru, so world champion with a good car is demonstrating he’s doing a good job. 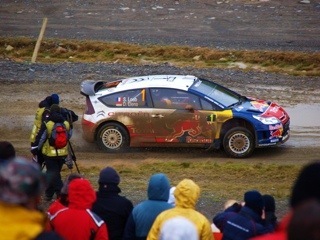 This entry was posted in WRC and tagged Changes, FIA, news, Rallying, WRC. Bookmark the permalink.